NEW: Use Adobe Analytics as a data source – How can we help you today? where 'replace me' is your report suite id. 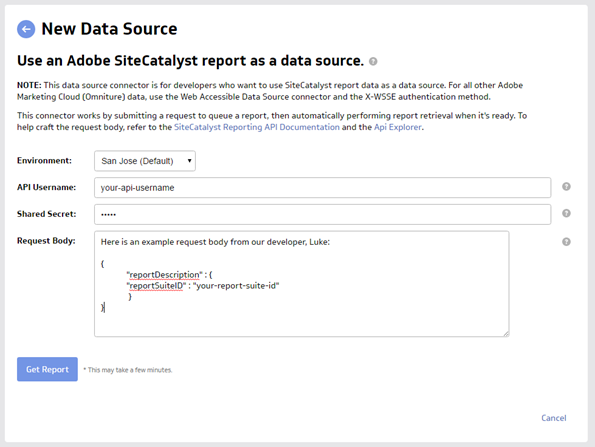 To create a data source using Adobe Analytics, use the Adobe SiteCatalyst connector. You can find your API Username and Shared Secret in the Web Services section in your Adobe Analytics account. To find out more, go to Adobe Analytics Developer API Explorer. At Request Body, paste your crafted request.